Visit LePort, meet our teachers and learn about our top-notch educational programs. Explore our Montessori classrooms and see how each child can thrive to his or her personal best at LePort. Discover our Private School's unique Knowledge for Life curriculum, which equips our students with the essential knowledge, thinking skills, and strength of character necessary to flourish as joyous children today and successful adults tomorrow. Curious? Invest two hours. Come to an Open House event and see for yourself how different, and better, education can be. Visit our website for the current month's Open House schedule. April 1- May 13, 2019. Mondays, 4:00 – 6:00pm. $175 per student. Celebrate the history of Saddleback Valley and explore the rich history of Orange County's Ranchos and Native American tribes! A fun and educational event for teens. This one day conference, taking place during Teen Dating Abuse Awareness Month, will inspire and empower attendees with the theme of creating healthy relationships. During the summit, teens and parents will participate in interactive workshops on topics such as leadership, dating violence, healthy relationships, and cyber safety. This event will offer live music, educational workshops, interactive social activities, vendor and resource booths, breakfast and lunch, as well as giveaways. Tickets are $10.00 per person, and all attendees will receive free parking, lunch, raffle tickets, a swag bag and a 'Festival Insider' booklet with promotions and coupons offered by our sponsors and vendors. Discover how to get your child ready for CAASPP Math in 6 weeks for grade 3, 4 and 5. Course starts in March and ends in early April before CAASPP test starts. INFORMATION:Visit online or call 866-669-9228 to get more information and reserve your spot. Your guide, Coast Guard licensed Captain Dave Anderson, is a marine naturalist. He'll teach you about Dana Point, the whales who visit and the many dolphin who live here, as well as introduce you to a few of our other local marine friends like our California Sea Lions, brown pelicans and the flock of seagulls that come when Captain Dave whistles! These NEW Enhanced Whale Watching Cruises are a perfect fit for 3rd-6th grade students, allowing them to be immersed in science. Students engage in a free range learning experience, identifying marine mammals, coastal birds and tiny plankton during the 2 hour whale watching cruise. There are marine mammal artifacts, bones and narration provided by our experienced captains and a marine biologist. With over 30 years of experience, Davey’s Locker provides one of the best opportunities to see whales and dolphins in Southern California offering year-round, daily departures. The thrill of seeing large marine mammals swim alongside our boat is an experience that you will never forget, and a great way to integrate marine science into your curriculum if you are a school or scout field trip. Our Captains and crew are extremely knowledgeable, but your group can also request an onboard Marine Mammal Naturalist to accompany your group on the water, and answer any questions they may have. Click link above to view lesson plans and curriculum available on our website to get the most out of your experience on the water. Once a month Pretend City offers Homeschool students unlimited access to our interactive exhibits offering learning through fun experiences. A trip to Pretend City offers your students a learning experience through hands-on “real life” educational play. These activities surround your students with challenging problems and absorbing questions. 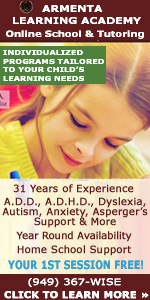 Additionally we offer two facilitated lessons per day for Homeschool students to participate in. 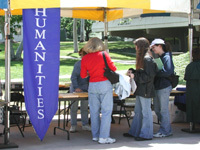 Heritage Museum offers an exciting line-up of educational field trip programs. Programs offered include a hands-on tour of the historic 1898 Kellogg house where students learn what life was like in the 1890s by playing with vintage toys, doing laundry, making butter, dressing up in Victorian costumes, and participating in other activities. Other programs included are 'Great Grandpa's House' for the youngest students, 'First Californians' & 'Gold Rush'. Sign up for the most affordable, on-the-water STEM program available for Middle-High School students. Newport Landing has partnered with Crystal Cove Alliance to run Marine Protected Area Citizen Science Cruises out of Newport Beach! During the three hour cruise, 7th - 12th grade students use GoPro cameras to assess fish biodiversity, microscopes to identify plankton, and water quality equipment to help assess the health of the Marine Protected Area in Crystal Cove State Park. 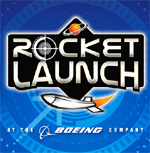 In addition to the hands on science, there will also be a 45 min. 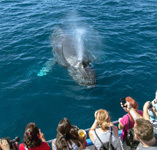 scheduled whale watching trip during these STEM cruises, which are facilitated by a marine scientist. Through generous donations, there are opportunities for partial and full funding for Title 1 and underserved schools. Free admission for expecting and new parents. Join us for free infant parenting talks. Go beyond the basics, and understand your baby and this beautiful yet challenging time at a different level. Each month, we'll cover a different topic: how to set up your home for baby, how to support natural language development and movement, how dads can be optimally involved during pregnancy and the bonding period. Leave empowered to truly savor the first critical months with your baby, and to help her truly flourish. Each talk is on a Tuesday evening from 6:30PM - 8:00PM. See website for each month's topic and to RSVP for a talk. 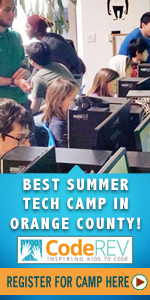 Featuring educational open houses, lectures and educational events throughout Orange County.